It’s one of the most enduring symbols in rock ’n’ roll: the “Hot Lips” logo of the Rolling Stones. The red lips and protruding tongue debuted on the 1971 album “Sticky Fingers,” and have appeared somewhere on every album since. The logo’s designer, John Pasche, said his favorite work by the band was its next album, “Exile on Main St.,” because of “its gritty, raw quality.” It was released this week in 1972. Mick Jagger commissioned the logo when Mr. Pasche was a student at the Royal College of Art in London. 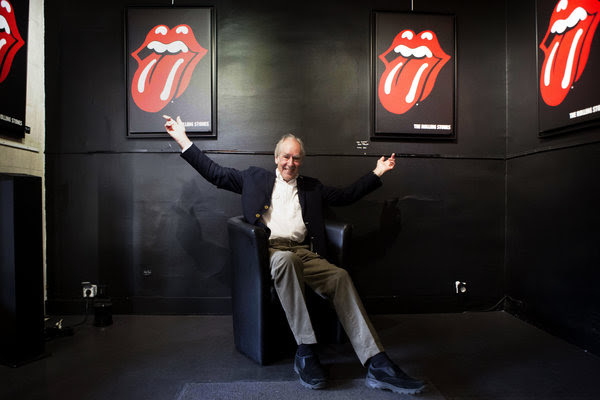 Mr. Jagger was inspired by Kali, a Hindu goddess with multiple arms and a pointed tongue, but Mr. Pasche was inspired by the lead singer’s mouth. Robb Todd wrote today’s Back Story.